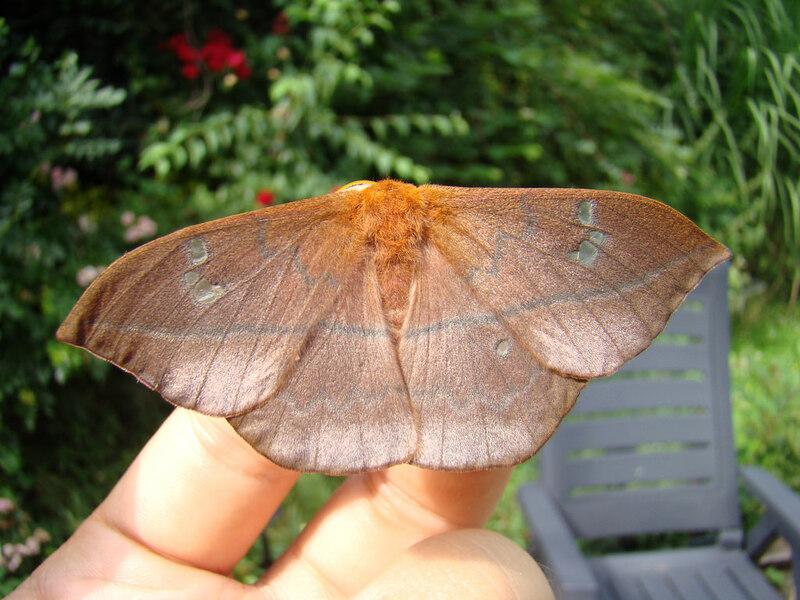 Cricula trifenestrata — “Cricula silkmoth” | Welcome, visitor! I have owned this website for a long time. Some caresheets I have written when I was younger and more inexperienced. This is one of them – it is marked for revision, and will be rewritten with better information and pictures. Cricula trifenestrata, the Cricula silkmoth, is a rather tiny silkmoth from tropical Asia. 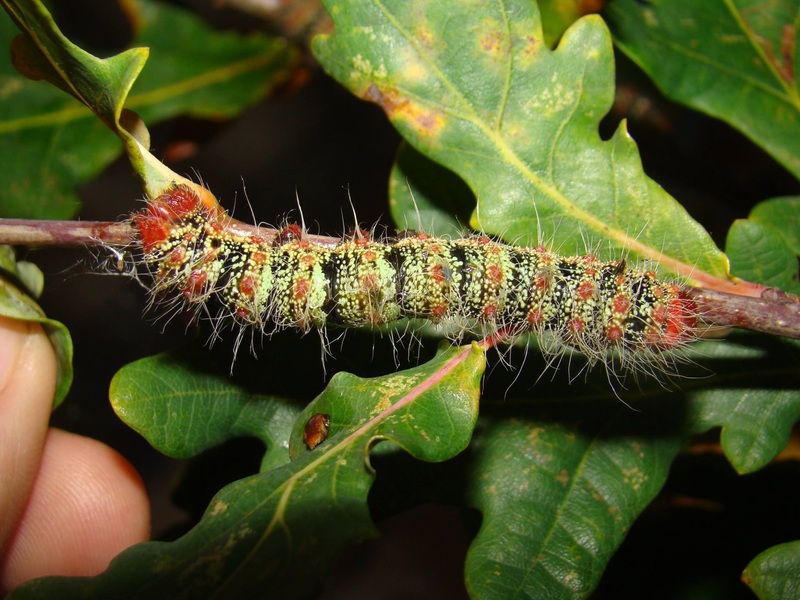 Larvae are highly polyphagous and are willing to feed on a rather large selection of trees, mainly fruit trees (Malus, Prunus, Pyrus) but also willow (Salix), oak (Quercus), and much more. The “trifenestrata” part of the name refers to the three transparent frames in the front wings. Special notes: Excellent species for beginners with social larvae. This species is very easy to breed and recommended for beginners. The larvae do well even when crowded; in fact, the larvae are gregarious (this means they tend to travel and feed in groups). 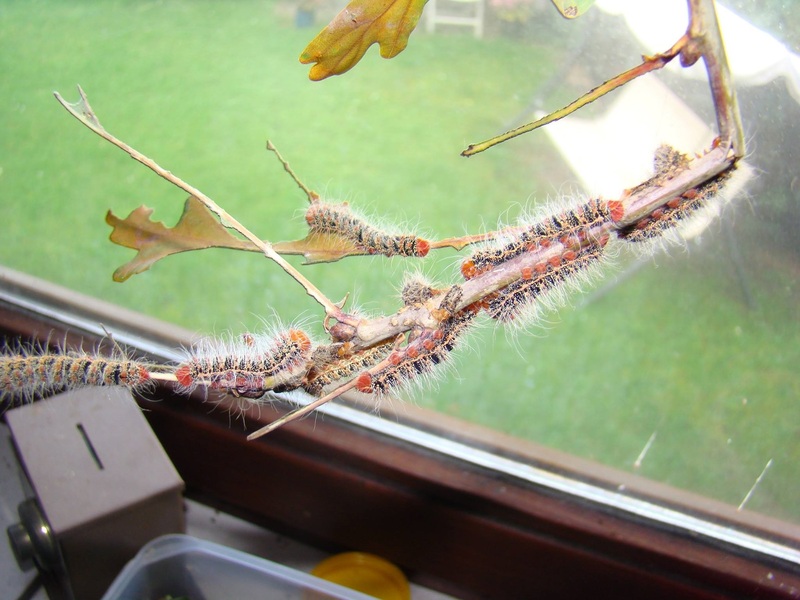 The caterpillars are very social during their first instars, but become a little bit more solitary in the 4th and 5th instar. However, they never become fully solitary, and still remain in eachothers vicinity, often feeding together on the same branch of a tree or plant, moving on the the next branch once it has been defoliated. The larvae are hairy, black, and decorated with tiny golden specks and red tubercules. 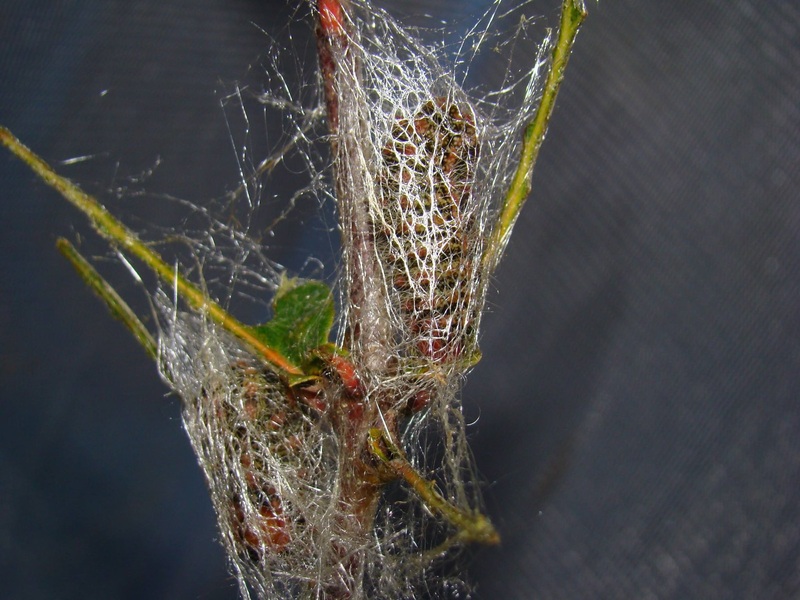 Cocoons are often spun together, resulting on clumps of cocoons fused on the hostplant together in a network of silk. Thank you for visiting my website! Are you perhaps..
Not done browsing yet? Then click here to return to the homepage. Looking for caresheets of certain species? Then click here to see the full species list. Was this information helpful to you? Then consider contributing here (click!) to keep this information free and support the future of this website. Moth of the Day (Official Facebook page) My official Facebook webpage, that is designed to repost some of my new and old content so you can enjoy weekly or daily moths on Facebook. 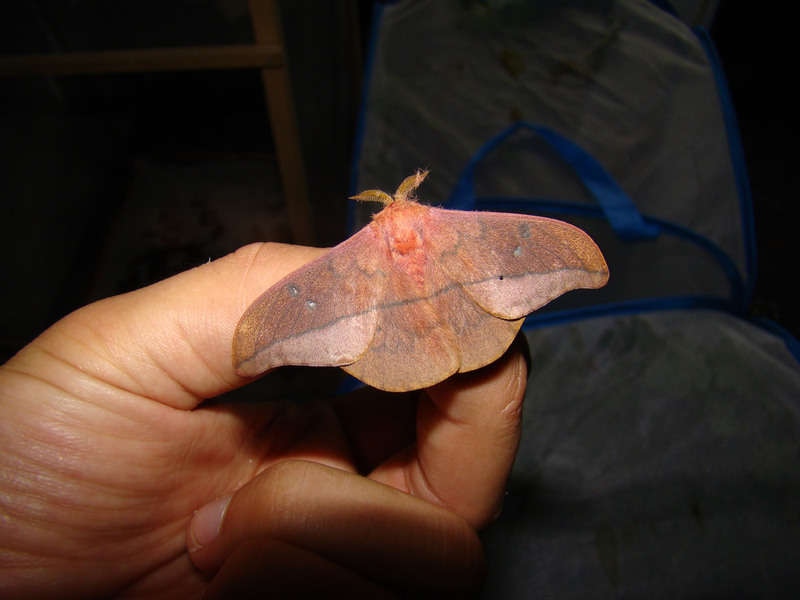 Moth caresheets: Click here to view the main feature of my website; various caresheets and tips about how to rear and breed several species in captivity. Lepidoptera Host Plant Database A database containing all the known food plants for thousands of Lepidoptera species that can be used with a convenient drop-down menu? Isn’t that incredible.